A deeper look at breweries' supply chains, community relationships, and the crossroads of other industries. 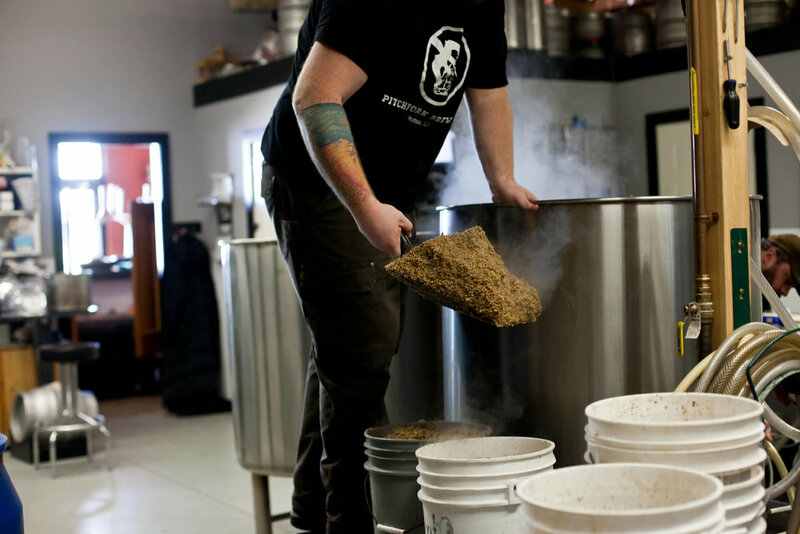 When Bull Falls Brewery first started production in 2007, Owner Mike Zamzow was looking for a place to get rid of his spent grain, so he started driving east out of Wausau in search of a farm that would be willing to take it. The small output he was producing back then must’ve seemed like a good waste of time for the first farm, so he was on to the next, where Darrin Damrow had been waiting 50 years for a brewer to show up. Damrow recalls his father telling him when he was just ten years old that if he ever got a chance to pair up with a brewery, he should. So when the guy from Bull Falls showed up at his farm, he jumped at the offer, and started hauling a couple drums a week from the brewery to feed to his beef cattle. “It’s a great source of protein, fibers, and [cows] find it more palatable,” says Dwayne Burnett, who’s been picking up New Glarus Brewing’s spent grain since 1999. The owner of Valley Mead Dairy Farms also says it’s more digestible, a feature he considers to be its biggest benefit. That’s because the fermentation process has already started in the grain, aiding the rumen (foods first stop of a cow’s four stomachs) in its natural fermentation — an essential step for converting foods that humans cannot. 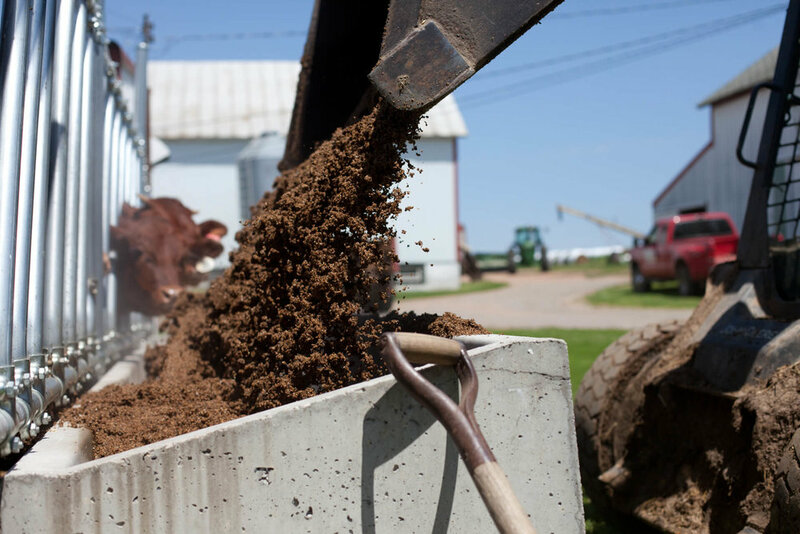 To be clear, spent grain could never fully replace a cow’s diet, instead, it’s used as a supplement in the TMR (total mixed ration) silage; on the high end, maybe reaching 25 percent. "It's like you or I eating a Hershey candy bar. One is good, but seven or eight might make you sick," according to Jerry Nelson, who feeds Lake Louie Brewing’s spent grain to 50 head of cattle just outside Spring Green. A cow at Nels-vale Farm moments before ingesting some of Lake Louie's yummy tummy filler. 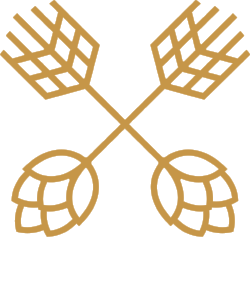 In the brewing process, malted barley is steeped in warm water, which converts the grain's starches into soluble sugars. That sugary water (called wort) becomes beer and the sugarless solid grains become useless to a brewer. However, those “useless grains” still contain nutrients, and farmers can feed them to their livestock. Diet aside, this farmer-brewer relationship is a very mutual agreement in terms of dollars and sense. Breweries would be inundated with mounds of something they’d have no use for, and the stench would drive away customers when it takes a sharp turn down Pew Lane. On the farmer’s end, “it stretches out our grain,” says Nelson, who gets anywhere from three to four tons per week. He estimates that saves the farm about $1,000–2,000 per year. After 11 years, the calculator displays $11,000–22,000, some of that some covers the fuel for the eight mile trip to the brewery and back, some accounts for the time, the rest gets pocketed. Burnett also uses as much as he can get; in New Glarus’s case, that goes upwards and beyond 10 million pounds (for the record, that was 5 million pounds in 2014). Valley Mead has been able to maintain the small-town brewery’s massive growth throughout the years, currently picking up to two semi loads a day — each pulling away with 40,000 pounds worth of spent grain. That helps feed over 1,000 dairy cows (plus another 1,500 offspring), which produce 75,000–80,000 pounds of milk per day for Klondike Cheese in Monroe. It’s a lot of work for smaller farms, who partly rely on a shovel to get the wet and heavy feed within munching range. Hard work they’re happy to do in exchange for the free moo-food. Burnett’s biggest challenge is maintaining consistency. The brewery may brew five days a week, but he has to feed his herd all seven days, and spent grain won’t keep for long before it spoils; farmers have a day or two in the summer heat and may be able to stretch it to seven days in the freezing cold. As far as the farmers’ favorite beer styles go, Jerry Nelson is not a drinker, which likely makes him the perfect candidate for a brewery. "Some other farmers in the area might go there and never come back." Darrin Damrow goes for a beer once in a while, usually opting for the Marathon Lager or an Oktoberfest. And if New Glarus feels like they owe Burnett for picking up a load on short notice, he says “we take payment in beer,” and that currency, to him, tastes a lot like Fat Squirrel — which makes up 15 percent of his diet after the fall harvest comes to an end. Cows aren’t the only animals that get to eat spent grain. Farmers across the state feed it to every-living-thing, including chickens, ducks, and sheep. It can also be worked back into the soil as a nutrient-rich compost. Some of it even makes its way into dog treats for your puppers.